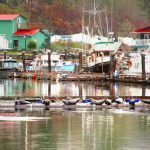 Tahsis lodging options range from ocean-view hotels and B&Bs to full-service marinas and campgrounds. Whatever your preferred vacationing style, you are sure to find it here! Don’t forget to ask your chosen accommodation about unique activities or tours that they offer throughout the year. Located within walking distance to the marina and government dock, our newly renovated, open concept house offers a stunning view of the inlet and surrounding mountains. 2 decks provide covered areas to BBQ and enjoy the spectacular view in any weather. Modern appliances and furniture – designed to entertain, yet private, comfortable bedrooms make this house ideal to enjoy a romantic weekend away or accommodate large groups on their outdoor or fishing adventures. The cosy fireplace provides a cabin atmosphere on cooler days and all conveniences like TV, wireless internet and phone keeps you connected. Enjoy your stay in a Tahsis heritage guest house set in the original Tahsis Townsite. 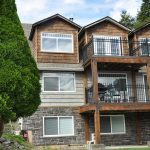 This self-contained 3-bedroom home is only a short walk to hiking trails, is close to Westview Marina, and includes a back deck with a BBQ. 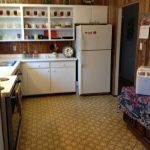 Features include 2 queen beds, 1 double bed, washer, dryer, cable TV, and freezer. Rates: $150.00 per night. 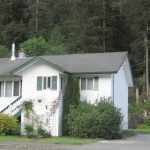 Welcome to Fern’s Country Style Bed and Breakfast – your home away from home. Settle in kick your feet up relax! Your are on vacation in one of the West Coasts most scenic inlets. Centrally located 5 min from the marina and the riverside walk right outside your door, this clean, comfortable private suite includes a queen bed & double hide-a-bed in living room, full kitchen, washer/dryer, freezer, private phone, TV, backyard and BBQ with picnic table. Breakfast and/or a separate room is available upon request. Right next to the boat launch, Seaside R.V. and Campground features oceanside views, full hookups, laundry, showers, fish cleaning station and freezer. 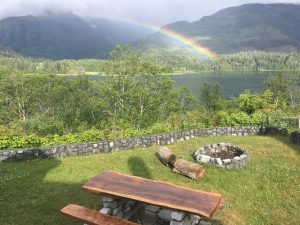 You’ll find friendly service, a communal fire pit, and great views of Tahsis Inlet from every site. Rates include 2 adults, additional $3.00 Children 10 years and younger are free. Pets are welcome but must be on a leash at the RV park. 30 amp service is $32.00 per night and 15 amp is $28.00 per night. Tenting is $25 per night. 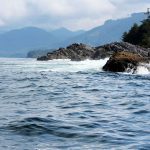 Just 12 miles on inlet water from the Pacific Ocean, Maquinna Resort offers a unique ecotourism experience, bringing amazing ocean fishing to a breathtaking environment. 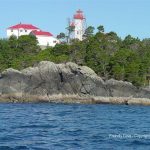 Maquinna visitors frequently encounter gray, humpback, and killer whales while on the water, and a variety of wildlife visible on the shore. We pride ourselves in helping you make your visit to Maquinna Resort unforgettable, with big-catches and an unmatched quality of fish. 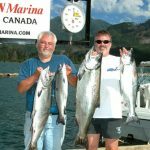 From the novice to seasoned fisherman, any adventurous individual will find world class fishing on the Nootka Sound. 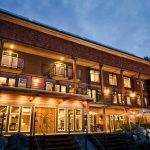 Providing guest accommodation in Tahsis since 2010, Nootka Gold is rated #1 in Tahsis by TripAdvisor. 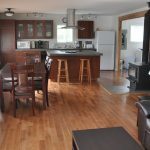 Accommodations include a self contained 2 bedroom kitchenette on the main level, plus an additional 2 bedrooms with living room and second bath upstairs. Booked together or separately, there is a total of four bedrooms, sleeping up to 8 persons. Each suite has a full bath, private entrance, complimentary Wi-Fi, television/DVDs, use of a dedicated fish freezer, and off-street parking. Spacious and green, this quiet property is located in ‘the valley’ just minutes away from all services, and backs onto a forested mountainside with seasonal creek. Reduced rates are offered on multiple night stays. 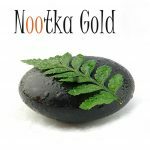 Visit www.nootkagold.com or follow us on Facebook. Site Description: A small site on the river, just outside of the Village of Tahsis. 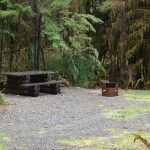 A popular day-use spot, it has easy access to the river, swimming holes and a small, rocky beach. Driving Directions: From Gold River, take the Head Bay (Tahsis) road and follow it almost all the way to Tahsis. Just this side of town, you’ll see a sign on the left at the junction of the access road. This gorgeous getaway has been a hidden gem in Tahsis… until now! 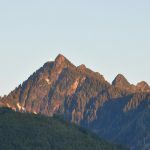 Sea to Sky is now available for guest stays, and you can be among the first to enjoy this custom home and some of the BEST private views of the bay. 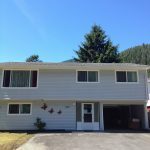 This 3 bedroom home sleeps 7, and is perfect for a family or group of friends here to enjoy all that Tahsis has to offer. The bedrooms are upstairs, and the main level has a gorgeous custom-built fireplace made with stones from the bay! 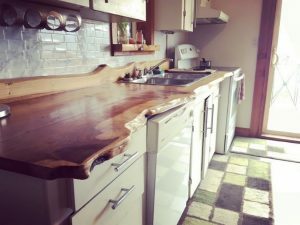 The kitchen countertops are custom-milled from Washington State. Step outside, and that’s where the real beauty is found! Whether relaxing on the deck or by the cozy fire pit, your unobstructed VIEW of the bay is what makes this home a true treasure in Tahsis. 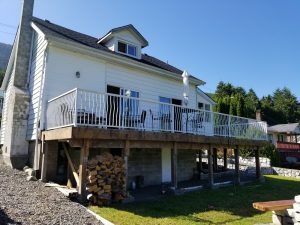 You will have access to the entire home, including bedrooms, living area, kitchen, bbq grill, deck, yard with fire pit. 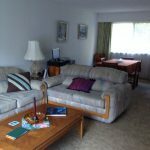 Sea to Sky is a pet-friendly home! We love dogs, and yours is welcome here. Please note, a $75 pet fee will be added to the reservation. 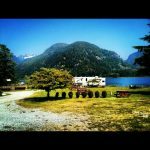 Whether you’re arriving by car, RV, boat or seaplane, Tahsis’s accommodations are ready to suit any traveller! Lay back, kick your feet up and experience the wild of the West Coast from the comfort of your hotel room! 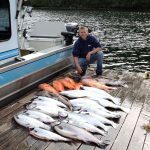 Hoteliers and their teams offer wilderness and marine adventures for those seeking some exposure to raw nature, including fishing and diving tours! Sometimes all you need is a little home away from home. 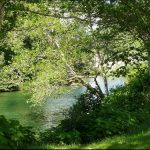 The variety of unique Bed & Breakfasts in Tahsis are perfect for fishing trips with friends, romantic getaways, or those seeking a quiet place to escape the ordinary. Plus, who doesn't love a home made breakfast!? 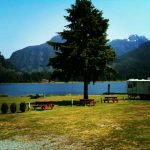 Adventurers from near and far come to Tahsis for its fantastic camping spots, many with stellar views of the inlet. Most campgrounds are equipped with full power hookups, laundry service, showers, fish cleaning stations and even freezers to store your catch! Welcome marine explorers! Our quaint marina is equipped with everything you need to recuperate, restock and refresh. 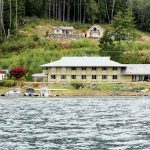 Reasonable boat moorage rates are available for longer terms stays, and unique ecotourism and fishing adventures are available year-round!